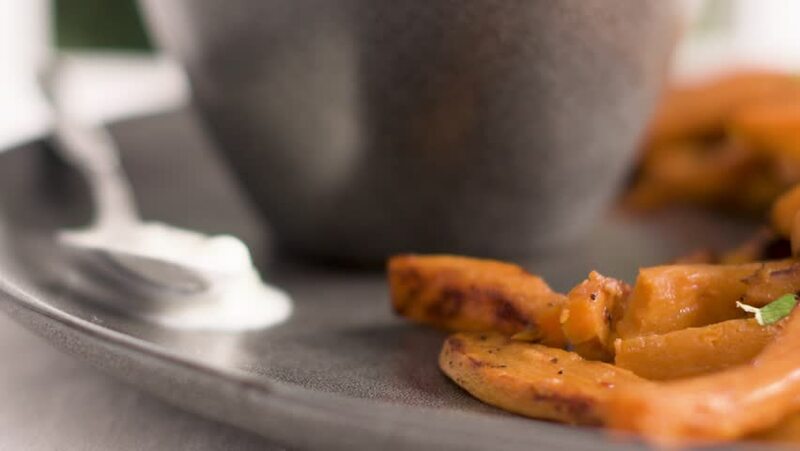 Crispy sweet potato fries in ceramic dish. 4k00:10The little girl who is eating American cuisine. Focus on food. 4k00:10Malaysian desert pastry curry puff or locally known as 'karipap' on wooden table. 4k00:11Rustic roasted pumpkin in a cast iron skillet.